Iron and steel scrap is melted in an arc furnace, brought up to the expected specification through refining and then cast in moulds. The operation has two basic furnaces: an electro arc furnaces (EAF) for melting, and a ladle furnace for refining. Both furnaces use graohite electrodes, which are shorted to the metal below, through an arc. A general layout of an EAF installation is given in Fig. 1. On the application of high voltage across an air gap, the air in the gap gets ionized under the influence of electrostatics forces and becomes conducting medium. 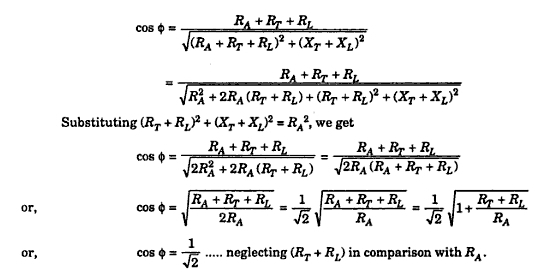 Current flows in the form of a continuous spark, called the arc. When electrodes are made of carbon/graphite, the temperature obtained is in the range of 3000 C-3500 C. The high voltage required for striking an arc can be obtained by using a step-up transformer fed from a variable A.C. supply. an arc can also be obtained by using low voltage across two electrodes initially in contact with each other. The low voltage required for this purpose can be obtained by using a step-down transformer. Initially, the low voltage is applied, when the two electrodes are in contact with each other. Further, when the two electrodes are gradually separated from each other, an arc is established between the two. Arc furnaces utilise the heating effect of an electric arc to melt the contents of the furnace. They are characterised by very high currents, perhaps up to 200 kA, at relatively modest voltages, between, say, about 200 and 1000 V. Because of the power required by the furnace, which might be between 10 and 100 MVA and occasionally even up to 200 MVA or higher, and the nature of the load, the transformers will need to take their supply from a strong HV system. 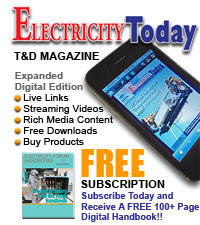 In the UK it has been found appropriate to provide a supply to furnaces of up to around 120 MVA at 33 or 66 kV derived from a supply which is usually dedicated solely to supplying a number of arc furnaces and having a direct connection to a grid bulk supply point so that the disturbances created on the network will be maintained at an acceptable level. 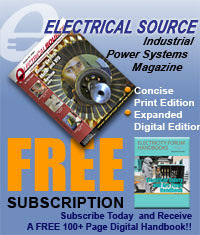 For furnaces rated at 60 MVA and above the bulk supply point needs to be associated at least with the 275 kV system. The relatively modest 33 or 66 kV HV voltage for the furnace transformer has the benefi t of making the insulation level of the HV windings and the tapchangers considerably lower and therefore less expensive than they might otherwise have been.. It is desirable not to switch on and off a furnace transformer too, often and particularly during a run. The output voltages of a Furnace transformers range between 600 V and 900 V. A number of taps are provided on the primary side. The variations of these taps helps to maintain a steady high voltage across the electrodes during a run. A steady high voltage is associated with a large arc length and a lower anode consumption. The three graphic anodes are arranged in a mechanical delta with well-maintained distances. This helps in maintaining a balance between the phase voltages. It also helps in reducing the production of harmonics. 3-phase Arc Furnace Transformer includes an extended primary winding with taps there in for the secondary voltage range 235-220-205-190-175-160 V, with primary winding connected in delta. This voltage range is extended by changing the connections of the primary windings from delta to star giving 58 percent voltage from each tap. Fig. 2 shows the equivalent circuit of an arc furnace. EA = (= IRA) = voltage drop across the arc. In order to exercise complete control of furnace temperature and to achieve best-operating conditions both voltage and electrodes controls are employed (The power input can be varied by raising or lowering the electrodes, resulting in variation of RA and by changing the transformer tapping, resulting in variation of voltage across the furnace). 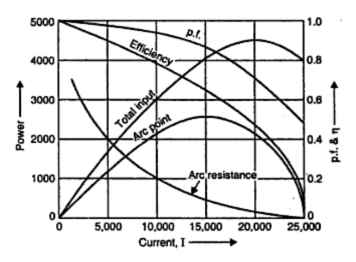 i.e., Power loss will be maximum when the arc resistance RA will be numerically equal to the impedance of the whole electrical circuit referred to the secondary excluding arc resistance RA. However, it not economical to operate an arc furnace with primary side power factor 0.8 lagging. Fig. 3 shows the performance characteristics of a typical arc furnce.
. Initially when the electrodes are short-circuited, it is as good as short-circuiting the secondary of a transformer. The total input to the furnace is almost zero (copper losses in the transformer winding).
. when the electrodes are far apart arc is extinguished and there is no power drawn from supply. In between the above limits there is a particular loading when the power input to the furnace is maximum. When considering a type of heating system to install it is important to understand how they all compare when it comes to the cost of installation, the cost of the fuel to run the system and the maintenance requirements and servicing costs. There are other factors such as health concerns which can be an issue with forced air heating where air is blown around and can cause allergic reactions in people. Please checked this site for more info. Sri Sai Ram Power Controls -Our dry type transformers are widely used across various industries to automatically control the timing of the electrical appliances. Massive info about furnace installation Toronto. Thanks for the share. Transformers can increase or decrease the value of capacitor, an inductor or resistance in an AC circuit. It can thus act as an impedance transferring device. It can be used to prevent DC from passing from one circuit to the other.